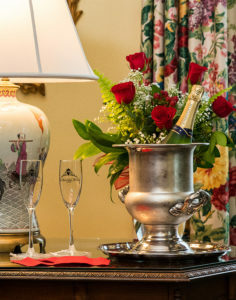 Champagne – A chilled bottle of French Rosé sparkling wine presented in a silver ice bucket accompanied by two keepsake long stem champagne flutes with the Inn’s signature logo. 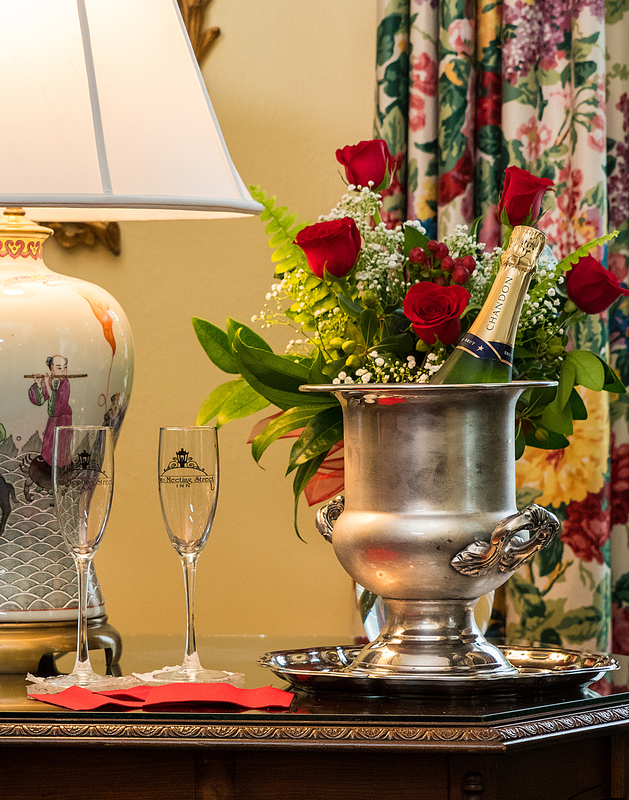 Red Roses – In a glass vase, a creative arrangement of six red roses, the traditional symbol of love and romance. Public Carriage Ride – Tour through the historic district in a public horse-drawn carriage. Enjoy a 25-30 block tour and see historic gardens and antebellum houses. The very best way to see the city! Chocolates – To enjoy together, a silver tray generously filled with chocolate dipped strawberries, white chocolate fudge and dark chocolate sherry bars. Heaven.